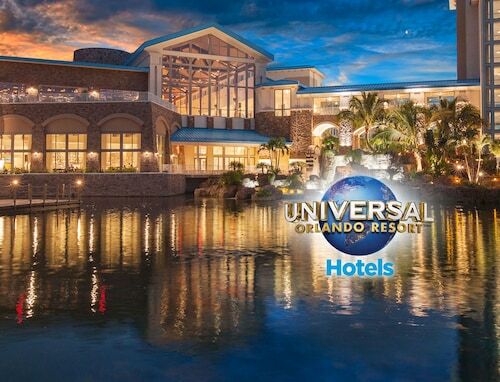 Universal Studios Florida and Universal's Islands of Adventure are just a mile from this Orlando hotel. The Holy Land Experience is only 2.6 miles from the hotel. SeaWorld Adventure Park and the Florida Mall are about 4.5 miles away. Located in the heart of Orlando, this hotel is within a 15-minute walk of Ripley's Believe It or Not and Universal Orlando Resort™. ICON Orlando and Madame Tussauds are also within 1 mi (2 km). 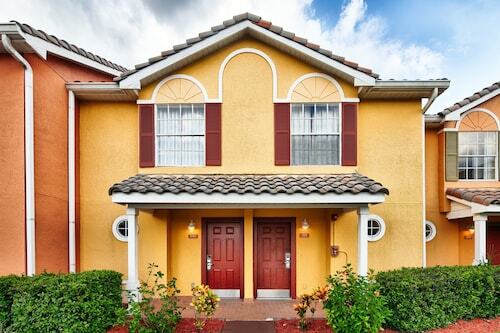 Set on 15 pastoral acres in Kissimmee, this all-villa hotel east of Walt Disney World Resort is a peaceful respite from theme-park action, yet still close to restaurants and shops on US-192. 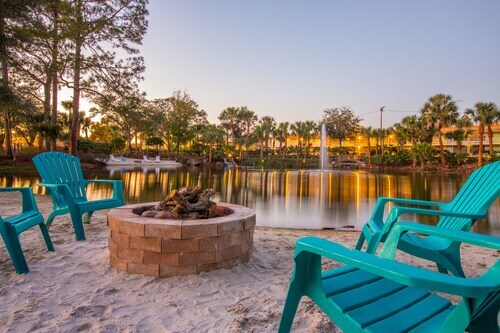 Sprawling across 24 acres in Kissimmee, this Mediterranean-style hotel is located 2 miles from Walt Disney World Resort, and within 17 miles of SeaWorld and Universal Studios. 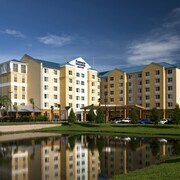 On 15 tropical acres, this hotel is within 4 miles of Walt Disney World Resort, with complimentary scheduled shuttles. 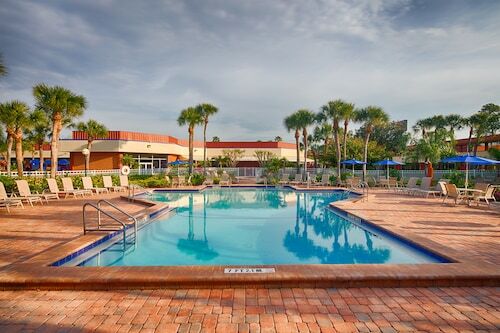 Easily accessed from I-4, this La Quinta hotel is 1 mile from AAA National Headquarters, 10 miles from the Central Florida Zoo, and 20 miles from downtown Orlando. Universal Studios is 25 miles away. 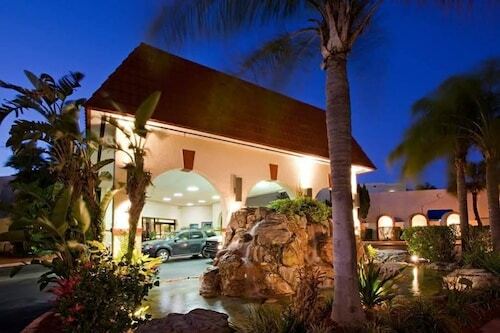 This La Quinta Inn is just a half-mile (0.8 kilometer) from Universal Studios. SeaWorld & Aquatica is 4 miles (6.4 kilometers) from the hotel and Walt Disney World Resort is 9 miles (14.4 kilometers) away. 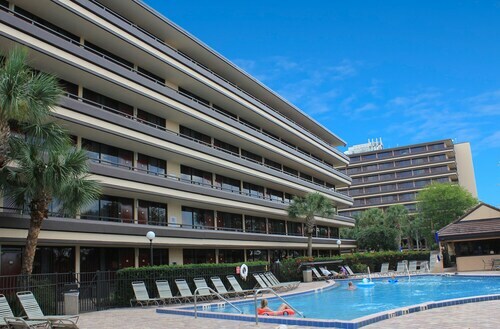 Situated in Orlando, this hotel is within a 10-minute walk of SEA LIFE Orlando Aquarium, ICON Orlando, and Madame Tussauds. Ripley's Believe It or Not and Wonderworks are also within 15 minutes. 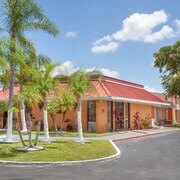 Situated in Kissimmee, this motel is within 1 mi (2 km) of Fun Spot America and Old Town. Falcon's Fire Golf Club and Celebration Golf Club are also within 3 mi (5 km). 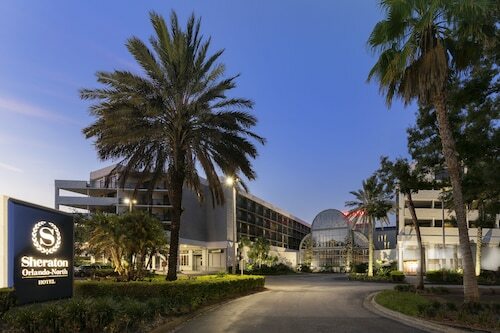 Set directly on International Drive, this Orlando hotel is just a short walk from the Orange County Convention Center. 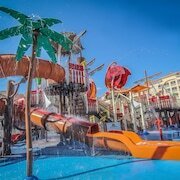 The hotel is also in close proximity to SeaWorld Orlando, Universal Studios Florida, and Walt Disney World. Pet lovers shouldn't miss the chance to visit Orlando, a family-friendly city known for its amusement parks and theaters, as well as attractions like Universal Studios Florida™ and SeaWorld® Orlando. 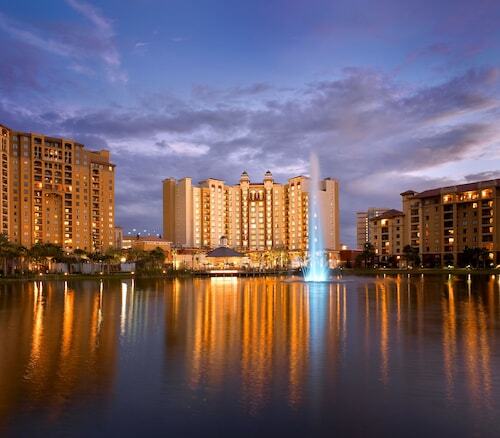 You can choose from Travelocity's 253 pet-friendly hotels and accommodations in Orlando and bring your doggy along! Enjoy the fresh air at Lake Eola Park, Lake Eola, and Dickson Azalea Park. Other things to see include Walt Disney World®, Florida Mall, and Universal’s Islands of Adventure™. Need a pet store? Try Petland South Orlando, Dog Day Afternoon, or Tuesday Morning. For vet care, Pet Alliance of Greater Orlando, Banfield Pet Hospital, and PetSmart are located in the area. Pets are allowed for a fee at this 3-star motel, although restrictions apply. Guests appreciate its proximity to the airport and comfy beds. Dogs are allowed for a fee at this 3-star hotel. 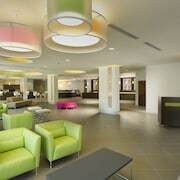 Guests appreciate its proximity to the airport and comfortable rooms. Pets stay free at this 2.5-star hotel. Guests appreciate the family amenities and convenient parking. Weather can make or break your trip, especially if you want to spend time outdoors. We have gathered the average daytime and nighttime temperatures to help better plan your trip in Orlando. From January to March, average temperatures range from 80°F in the daytime to 49°F at night. Between April and June, the daytime average is 91°F and the nighttime average is 59°F. From July to September, average temperatures range from 92°F in the daytime to 72°F at night. Between October and December, the daytime average is 87°F and the nighttime average is 50°F. Everything was great! I especially loved the pet friendly environment! We loved the decorations, carpeting, lighted mirror, colors of our room and of the hotel in general. we liked being able to take the boat to the City Walk from our hotel. We loved our Lagoon view and the pool area. It was quiet and all the staff were nice.